In 1872 Joseph Lucas started his Tom Bowling lamp factory in little King Street (a street that no longer exists) a couple of miles north of Birmingham city center. In the 1890's he moved his expanded business to Great King Street (GKS), about a hundred yards away. Joseph was a strict teetotaler and when holidaying in Naples, refused to drink wine, sticking to the dodgy local water. He died of typhoid there in 1902. (Well, if you refuse to drink wine...). Subsequent management of Lucas was initially by members of the Lucas family but they disappeared some time after the Second World War. 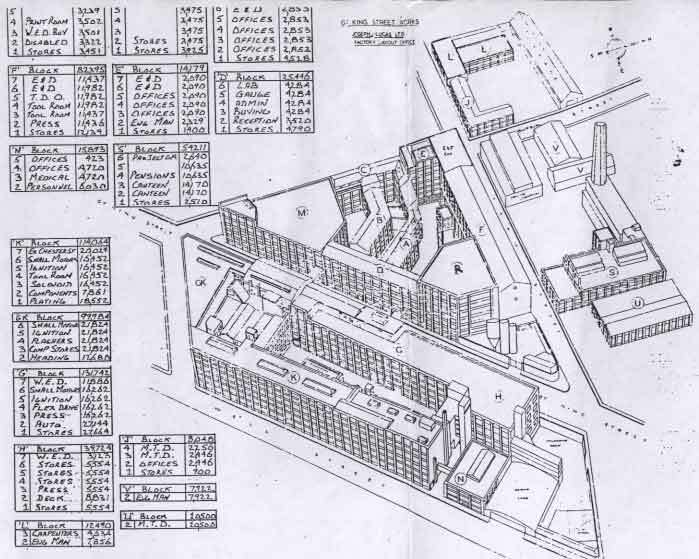 This is an old site plan from when GKS was still a hive of activity. 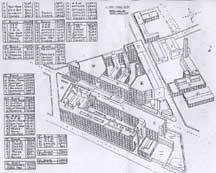 Joseph Lucas built the first two blocks in 1896 and 1898 and subsequently these were designated blocks A and B. These letters generally denote the order in which each block was erected - but not always. By the late 1920's C to K were up. M block was finished in 1929 and GK block in the 1930's. The ends of M and GK blocks provided the famous frontage to the site when viewed from the upper end of Great King Street). The final phase of buildings in the 1950's included the Proving Laboratory where fleet test vehicles were based. Roger Bater was Engineering Manager in the last few years at GKS and was part of the team which had the job of deciding what to do with the site. 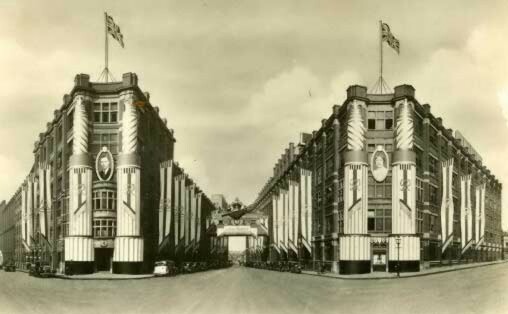 The age of the buildings meant that it was impossible to use modern single-story manufacturing layouts because production was spread over as many as seven floors served by huge old-fashioned elevators. It took over a year to break down and analyze the true operating costs. The plan that emerged (and carried out with great co-operation by everyone) was to move ignition to a new purpose-built factory, mostly using existing production equipment. Many of the wiper lines were sold to a competitor. (Delco, them part of GM). Some of the older wipers went to Service Division (where Roy worked) Some of the military and other products also went to another modern factory which was eventually bought out by the management, who were ex-Lucas employees. Most of the rest of GKS production was closed and the equipment sold off. There were huge numbers of lathes and presses for disposal (GKS had traditionally made turned and pressed parts for most of the Lucas automotive group). It was rather like a very large garage sale. So by 1988, nearly a million square feet were empty and the buildings were ready for demolition. When the demolition guys arrived the supervisor at the outset thought it might take six months to level the place. In the event, the huge strength of the buildings meant that it took much longer. As well as allocating letters to the buildings, there was a floor numbering system. The basement (even if there wasn't one) was 1, so the ground floor was 2. It was quicker to refer to department by their location rather than their function so, for example , M6 was the filth floor above ground level of M block and housed the ignition distributor production. M7 was the holy of holies - it accommodated the main board members of Lucas group. As well as being a factory site, with its engineering and support facilities, GKS was also the headquarters of Lucas Electrical plus the world-wide headquarters of Lucas Industries which included CAV diesel, Girling braking and Lucas Aerospace companies. On the end of a row of modern dwellings nearby there is a stainless steel emblem of the old Lucas lion, wheel and flambeau trademark. This and the commutative stone are all that remain of a factory that lasted a hundred years and employed up to 7000 people. Our thanks to Roger Beter for his kind permission to reproduce this article and photos. See Old Joe's final resting place and other Lucas sites around Birmingham.